In an industry with a history of sustainability and ethics, one thing stands out more than anything else: love. supremely important to the South African economy. Mohair is a fibre derived from the fleece of Angora goats and the industry supports over 800 South African farms and an estimated 30 000 dependants. 50% of the world’s Mohair is produced right here in South Africa, under strict guidelines of sustainability that have been in continual development since 2009.
expertise. Angora farmers have a deep understanding of their goats that only a farmer who loves his animals can have. They’re a passionate bunch who regard the wellbeing of their livestock as an abiding commitment that is beyond question. in South Africa is as much a commercial enterprise as it is family legacy. 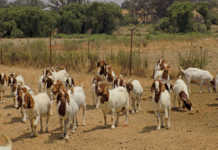 Of course, profitability is important too – and is intrinsically linked to how the goats are treated and cared for. Sustainability is vital to the industry. 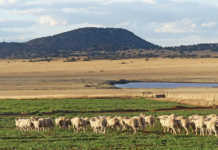 Mohair South Africa has been developing processes to manage and monitor the production of Mohair since as far back as 1999. Sustainability Officer in 2015, Mohair South Africa’s Sustainability Programme is in continual evolution. necessary improvements as time goes by. Today, the programme includes the development of a digital application to capture and analyse Angora farm data as well as third party audits that can track Mohair fleece from farm to production. 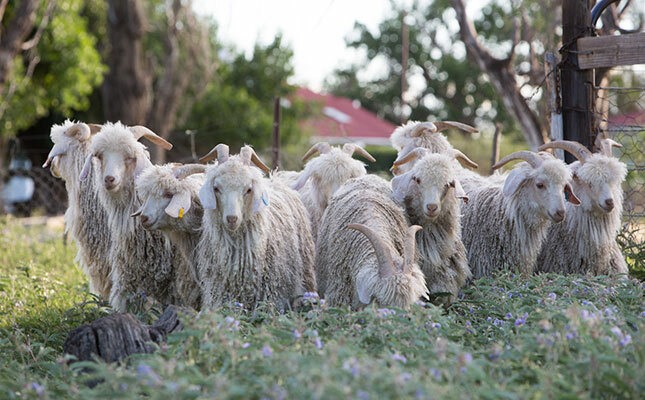 As part of this continual evolution, 2019 will see Mohair South Africa and industry stakeholders drive a stringent shearing accreditation programme to ensure that the industry can continue to maintain, improve and ensure the ethical treatment of its Angora goat livestock. 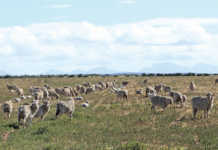 Mohair South Africa has further illustrated the country’s commitment to building a sustainable and ethical Mohair sector through its engagement with Textile Exchange. Textile Exchange is a global nonprofit organisation that works closely with international members to drive industry transformation in preferred fibres, integrity and standards, and responsible supply networks. Mohair Industry Sustainable Guidelines against other standards, particularly the Responsible Wool Standards. In October, at its Annual Sustainability Conference in Milan, it announced that Mohair will be included in the revision process of the Responsible Wool Standards. will also apply to Mohair. The vision is to create a Textile Exchange Standard for Mohair, that may provide brands and apparel makers with a tool for sourcing animal-derived fibres that are produced with consistently ethical principles and goals. When you buy South African Mohair, you’re not just buying a scarf, a coat or a jersey. You’re enabling sustainable, ethical farming practices. You’re ensuring that thousands of South Africans are able to get up and go to work every day. You’re supporting the farmer who loves his goats. It doesn’t get any simpler, or better, than that.